For small groups (8 – 20 people) we organise backstage tours. 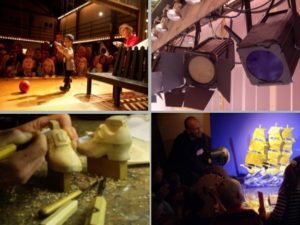 The Amsterdam Marionette Theatre presents operas and music theatre in a former blacksmith’s in the heart of the old city centre. 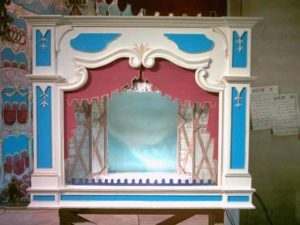 The European tradition of the classic marionette theatre originated in Mozart´s time and is now only presented in a few places in Europe. 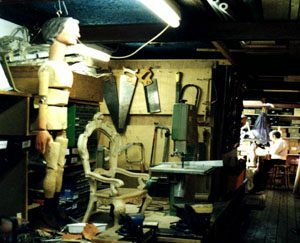 We kindly invite you to take an exclusive look behind the scenes of the marionette theatre. 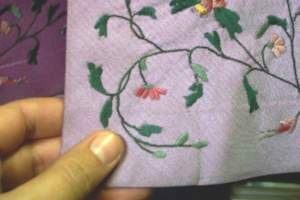 You visit the workshops where the marionettes are carved and constructed from lime-wood and where the historical costumes are made. 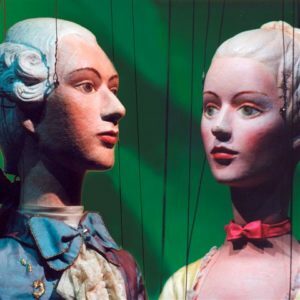 Puppeteers demonstrate the complicated and age-old technique of the marionette play. The BACKSTAGE program is exclusively organised for groups. Number of participants: 8 – 20. For a bigger group an adapted program can be arranged. – Mo. to thursday daytime / private persons: € 15.- pp. (coffee and tea included). 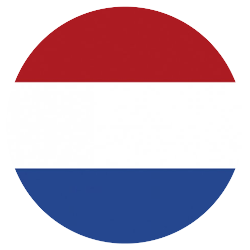 For companies: € 20,- (coffe, tea, VAT included), minimum 240,-. 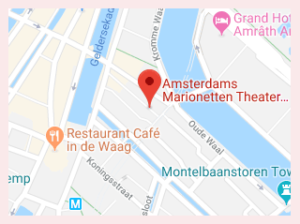 The Amsterdam Marionette Theatre is situated at walking distance (8 min.) from the Central Station and there are several parking-lots nearby.